Growth within marketing needs to be redefined, and it needs to shake up the market as it happens. Growth can come in multiple forms, like new accounts, markets, product lines, and acquisitions. 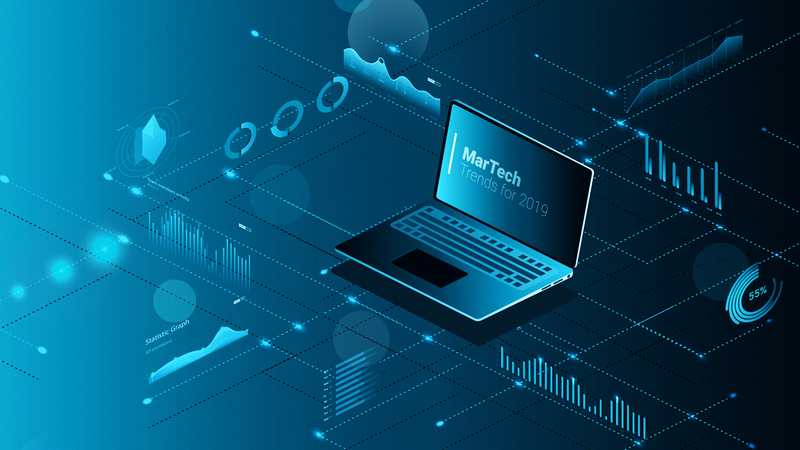 However, in order to determine what type of trends are the ones that drive the growth of MarTech startups through the roof. Here are critical trends every marketer needs to know and understand in order to concretize their growth and the growth of their company. There has been an obsession with creating “net new logos’ with companies and investors. There is no doubt that new consumers are necessary for a healthy company. However, what is as important is retaining and keeping the existing consumers happy as well. Corporations are seeing their foundations as an important built-in stream of revenue and they are looking for ways to secure them and make them lifetime partners. This perception changes how sales and marketing work within the corporation. Now, instead of just focusing on how to get as many consumers as possible, sales and marketing teams need to create ways to please the existing consumers as well. This creates a more solid foundation, which in turn allows the happy existing consumers to bring in new consumers with them as well. Accounts are the new leads. Leads are difficult to handle. They burn resources, take up the time of the marketing, and often end up annoying the individual they were trying to reach in the first place. While valuable to the sales team, it has been proven that it is not really the most effective approach. Therefore, the solution is to shift to understanding the best account opportunities. Rather than creating leads, the effort can instead be shifted to developing more personalized ways to reach integral stakeholders within target accounts. Modern data tools can now be utilized to gauge account interest and predictive analytics can identify the best accounts. Goodbye marketing automation, hello orchestration. While automation seems innovative, it usually creates a lot of dissonance within the system itself. Being sold as a tool used for efficiency, marketing automation ended up being a bunch of singular systems that focused on one thing while not necessarily working together. By implementing orchestration, companies can now create a fully functioning system that actually works efficiently and allows for production to go smoothly. As emphasis is being placed on driving growth within specific accounts and existing customers, a crucial effort should be allocated to assure key decision makers know your brand. Demand gets much easier and effective when prospects understand your brand. For example, look at your search marketing program effort and performance. Typically, branded keywords convert much higher than general keyword topics. This also is playing out for intent and fixed-signal data that is being used to identify account interest and potential. The good news is that we see budget and resources allocated to brand efforts that provide life to solutions, tell stories and create experiences. Hundreds of millions of dollars are being invested in brand programs for account-based marketing programs to nurture and educate buyers at specific accounts digitally. Simultaneously, smart marketers are executing account-based lead gen programs to generate interested and active users within those same accounts. This is a more efficient step forward, compared to creating content and hoping somebody visits your web landing page to fill out a form. If growth is your vision, don’t get caught unprepared. Now is the time to dive in and understand what growth tactics allow for your business to deploy the right strategies in order to maximize impact. By following these methods, even a simple startup can grow into a successful corporation.